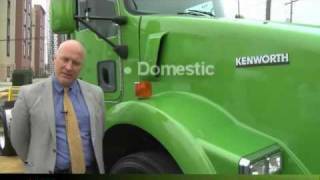 Andy Douglas of Kenworth Truck Company talks about the benefits of natural gas and the new T800 natural gas truck. Visit www.NGVsNow.com to learn more! With your help, natural gas vehicles can help America achieve a cleaner, safer and more prosperous future! 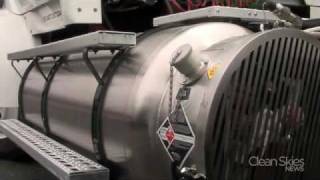 Video promoting natural gas as a clean (low carbon, reduced greenhouse gas emissions), low cost, and domestically sourced heavy-duty trucking fuel. 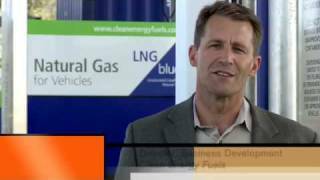 Interviews with Kelly Mills (Westport Innovations) and Greg Roche (Clean Energy Fuels). Volvo Trucks is enhancing its focus on alternative fuels with the launch of the new Volvo FM MethaneDiesel. This truck is powered by up to 75 percent gas. Thanks to its fuel-efficient technology - which extends the vehicle's operating range - it can considerably reduce CO2 emissions from heavy and long-distance transport operations. 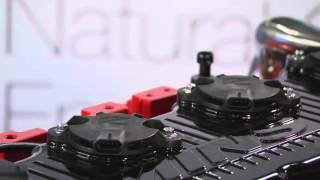 TheAutoChannel.com has the complete story. 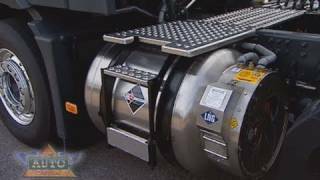 Clean Skies News' Lee Patrick Sullivan is at the Port of Long Beach in California, talking about new 18-wheeler trucks that can run on liquefied natural gas, instead of diesel. Although the vehicles are more expensive up front, they will significantly reduce U.S. dependence on foreign oil, as well as air pollution; and some companies are willing to pay more for products delivered by LNG-powered trucks.